Kristin from Hunted Interior is here with us another time with some advice on how to design and create a beautiful entry way of your own. Hey Remodelaholics! It’s Kristin from The Hunted Interior again. As an Interior Designer, I love dissecting a good design. I enjoy looking at every last detail, wondering why it was placed where it was & what function (if any, besides being beautiful) does it serve. I also enjoy trying to hunt down each of the pieces & their more affordable doppelgangers! After going through Cassity’s Pins, I ran across this gorgeous console setting featuring some stunning Kingfisher Feather Prints by Kerri Shipp of Driftwood Interiors. Those prints are just sublime. They have definitely gone on my “will have one day soon” list. The space as a whole is a touch of all the things that I try to accomplish while decorating a space. Chic, classic, natural, with just enough modern. I was so inspired I’ve created a Theirs vs. Ours version… Here is the breakdown of my selections to achieve this stellar look for your home. C o n s o l e : While this console is not as detailed as the original, it does hold true to a number of the same characteristics. 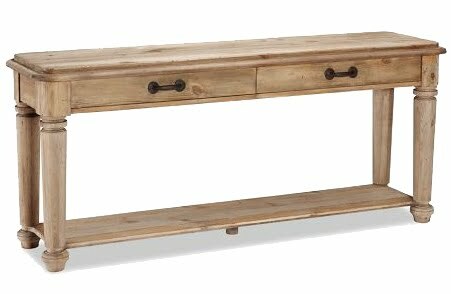 It is a rustic piece, with interesting wrought iron hardware. The size, shape & stain are also all in keeping with the original. Though it does have a shelf, the shelf is still low enough to maintain that open feeling. B a s k e t s : Baskets are always my secret weapon. They can go into any style space. This lidded version is a great solution for storing away unsightly items in a small space. No one would ever know that those baskets are filled with toys, off season shoes, or your growing mound of scrap fabric… or is that just me?! These baskets also meet one of my secret styling requirements. If you have a console… something MUST be placed under it! 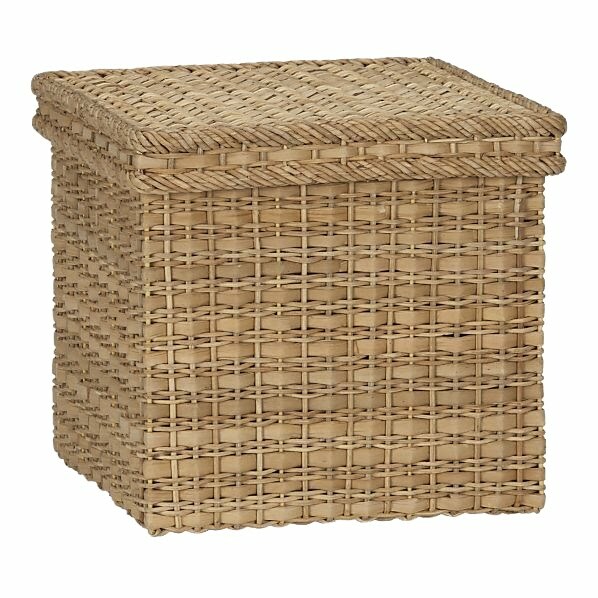 If not a basket, a garden stool is always a great option, or a large urn. It gives the console a finished & layered look. K i n g f i s h e r P r i n t s & F r a m e s : When in doubt, symmetry is your answer. Using the same print (or similar) in duplicates allows for the eye to find a balance. When looking for artwork, my first stop is always Etsy. What I love about the artists community at Etsy is that you can contact them directly & discuss the possibility of a custom size, or color if you can’t find exactly what you are looking for. Nine times out of ten, they are willing to work with you. This is the original print from the inspiration. Drool worthy for sure. My go to standard frame is the Ikea Ribba. They are cheap & cheerful. Again, these simple frames can work with any interior setting & look great in multiples. F i n i s h i n g T o u c h e s : A designer styled look comes from layers. Once you have all of your main components, layer in personal touches. For the beginner, using items in similar color (like the white porcelain) will allow your setting to feel cohesive. Also, if the addition of live greenery scares the green thumb off of you, my go to option is a preserved boxwood. It is a real plant that has been preserved, no longer needing any water or sun. So you get the benefit of a bright green natural plant, without the hassle. Inspiration can come from anywhere. Take the elements you love from an image you love & add to it. If you enjoyed this post, come on over to the Hunted Interior for my similar Get This Look series. Amazing! I love how you dissected and at the same time found the prefect, more budget-friendly substitutes! Love it!